Sablefish are caught as part of a multi-species groundfish fishery in British Columbia. In 2012, BC landed $104.2 million worth of non-hake groundfish. 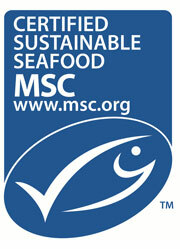 A large proportion of the groundfish are exported to countries including the US, Japan, the UK and Russia. Management of BC groundfish is moderately effective as management measures such as reference points and harvest control rules exist. However these measures are not applied to all stocks, and are not always supported by scientific research. The Committee on the Status Of Endangered Wildlife In Canada (COSEWIC) has identified several groundfish of threatened status, although recovery of these species is challenging given limited data. Fisheries officers are highly effective in enforcing management regulations such as total allowable catch. Vessels are monitored with 100% at-sea, 100% dockside and 100% observer coverage. The population is at a healthy level, and is fished at a sustainable rate. Total sablefish catch was 1970.6 mt in 2012. As immobile gear types which do not drag across the ocean floor, bottom longlines cause less habitat damage than bottom trawls. Many of the species targeted by the BC groundfish fishery are found in areas of hard substrate which are more susceptible to damage than areas of soft substrate. In order to mitigate habitat damage, a number of regulations including spatial regulations are in place. For example, no commercial fishing activities are allowed in Rockfish Conservation Areas. In 2012, additional measures were imposed in order to protect corals and sponges. Sablefish farming is limited to two farms in BC. This recommendation is based on an assessment of the Totem Sea Farm Inc. Totem Sea Farm produces about 50-60 mt of sablefish per year. The majority of the farmed sablefish is exported to Japan and the US. Open net pens allow discharge to flow into the environment. However, the small scale of the farm as well as the location of the farm which is in deep well-flushed water, limits the impact of effluent to the surrounding environment. Benthic impacts are limited to the immediate vicinity of the farm. As Totem Sea Farm is part of the Canadian Organic Standards for Aquaculture, chemical use is limited in order to comply with the organic certification. No antibiotics or parasiticides have been used. Farm-specific data is available although not independently verified or peer-reviewed. The farm is part of the Canadian Organic Standards for Aquaculture. This subjects the farm to annual evaluations. Source of stock is wild broodstock from a Washington commercial sablefish fishery. Although the farm relies on wild populations for broodstock, the Washington fishery is well-managed and is sustainable. 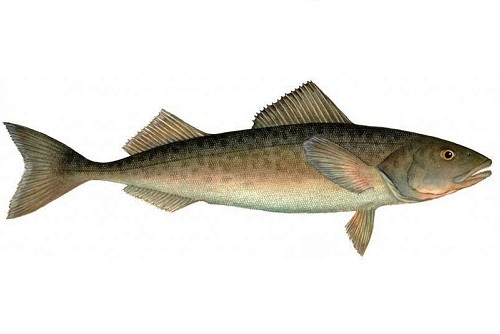 Farmed sablefish requires about 1.4lbs of feed for every 1lb produced. Sablefish are resilient against many common pathogens. Together with vaccinations and a low stocking density, this has minimized disease outbreaks at the farm. However, the open nature of the net pens could allow for transmission of disease to the wild population, and no data is available on the proximity of wild juvenile sablefish to the farm. The sablefish farm has the potential to affect predator species, but only two predator mortalities have occurred in the history of the farm’s operation, neither of which are at-risk species. Escape from the pens is possible, but the farmed sablefish are genetically similar to the wild population. Therefore escaped individuals would not have a significant impact on the ecosystem.